The John Hansard Gallery focuses on contemporary art. It is a public gallery, part of the University of Southampton. Each year, the Gallery hosts a series of temporary exhibitions. It covers a broad range of contemporary art from painting, sculpture and photography, to film, performance, installations and digital media. In 1979, the University of Southampton brought together its existing Photographic Gallery and its Fine Arts Gallery to form the John Hansard Gallery. It is named after a benefactor of the University in recognition of his encouragement of the visual arts. The Gallery moved to its current location at Studio 144 in 2018. It is part of an arts complex and is not far from the Southampton City Art Gallery and the Solent Showcase Gallery. For information about visiting, see the John Hanard Galeery website. 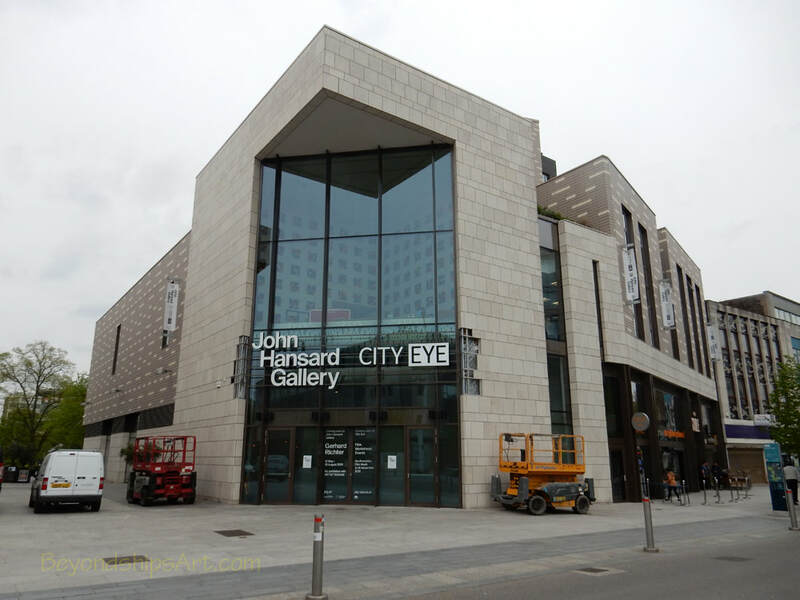 The John Hansard Gallery is in the Studio 144 building in Southampton's art district.